World of Warcraft helped make Stephen Gillett the chief information officer of Starbucks. He's now COO of Symantec. 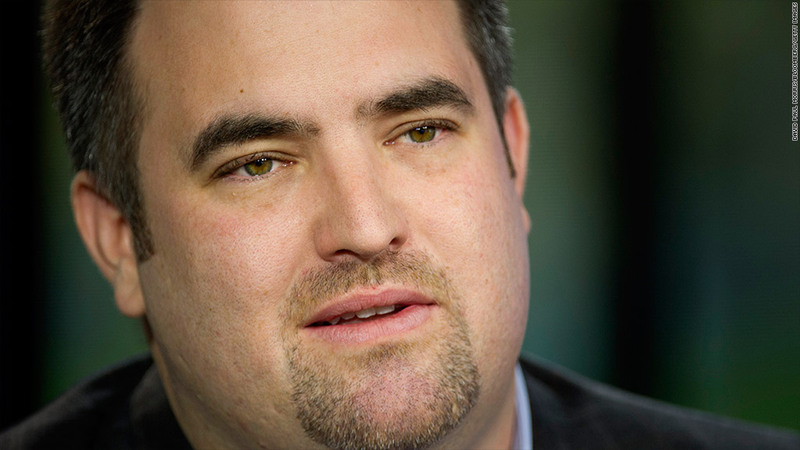 Symantec's chief operating officer, Stephen Gillett, has an impressive resume that includes executive stints at Starbucks, CNET and Best Buy. He's also a level 70 paladin and priest with a particular focus on healing abilities. If it isn't clear already, we're talking about the online video game World of Warcraft. "I put my qualifications on my resume when I apply for jobs," Gillett said. "Here's my guild. Here's my ranking. Here's my biggest online achievement. Some people look at it and say, 'What the hell is this?' And others will be like, 'That's exactly what I'm looking for.'" It paid off. It helped him land a job at Corbis, and eventually Starbucks. Starbucks (SBUX)CEO Howard Schultz hired Gillett to be the company's chief information officer when the company was in a rut in 2008. Gillett said he includes his World of Warcraft achievements on his resume, because it's not just about role-playing games. It shows he exercises leadership in both the physical and virtual realms. Plus, he understands the current societal fascination with earning points and interactive entertainment. As a guild master, his current duties and responsibilities include organizing dungeon raids and managing the group's virtual bank. And he has a knack for recruiting key talent. Think mages and warlocks. Those skills transferred to his position as Starbucks' CIO, Gillett says. In that role, he was tasked with saving the company's suffering technology assets. Cash registers were outdated. Computers were scarce. Customer sales were down. Gillett's answer: Take Starbucks executives on a field trip to the Irvine, Calif., headquarters of World of Warcraft maker Activision Blizzard (ATVI). The goal was to expose them to a business model that capitalizes on gaming. Gillett got approval to start a new business unit, Digital Ventures. The cross between IT and marketing focused solely on improving Starbucks' interaction with customers' devices, like smartphones and laptops. The result: The company "gamified" the Starbucks experience. Customers can now whip out their smartphones and use a rewards program to rack up points, level up and unlock special abilities -- err, deals. Sound familiar? The coffee shop chain now considers its "My Starbucks Rewards" program, which boosted sales and customer loyalty, a success. Gillett now plans to take that approach at cybersecurity and antivirus firm Symantec (SYMC). He thinks it will start internally -- using games and simulators in the hiring process -- and eventually make its way out to customers. Maybe users will gain points for reporting back software bugs and avoiding bad links. "I think gamification and the way of thinking about it is applicable to any industry," Gillett said. "Right now we get really good information on malware -- what it does, how it acts. But we have no telemetry on the human part of it -- what people were doing, thinking and believing when they encountered that particular threat."